The Home of Cricket gets its first outing of the summer on Sunday when Middlesex open their Specsavers County Championship account with the visit of Warwickshire. Should the bookmakers be believed, then 2016 is a year Yorkshire will complete their treble, but these two are set to lay the benchmark to the White Rose’s four-day challenge. Middlesex were the only team to beat Yorkshire last season in one of the matches of the year, although the Champions still lifted their title at Lord’s in spite of the 246-run defeat. 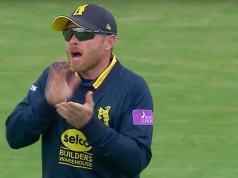 A repeat of last year’s second place may be tough for Middlesex, however, with the upper echelon arguably as tough as it has been for some time. 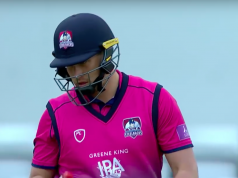 The introduction of James Fuller from Gloucestershire could be key to the success of a side already boasting a strong bowling unit, coupled with a tri-cast of former England batsmen. But Warwickshire are no weak link either. The Bears enjoyed a positive draw, if you can call it that, away at Hampshire last week, with the rain denying them a victory to start their campaign. Warwickshire are also unbeaten in their last 16 visits to Middlesex, last tasting defeat in 1988, although 11 of those encounters have been draws. One of those stalemates came the last time the two sides played in St John’s Wood, with a nip/tuck encounter denying a chance of a frenetic finish by rain earlier in the encounter. Middlesex have a plentiful supply of fast bowlers to choose from, but if Toby Roland-Jones gets the nod, expect him to be a Lord’s handful. 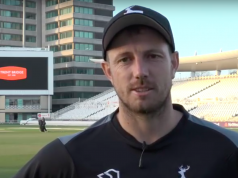 The fast bowler ruined Yorkshire’s title party last year with a wonderful maiden century against one of the country’s best attacks, while also ripping through the top order with a five-wicket haul. Roland-Jones also took six wickets the last time these sides played each other at Lord’s, in May. There’s no better place to stake your England credentials than the Home of Cricket, a faction Ian Bell will be aware of when he takes the field on Sunday. With Tests at the same ground to come in the summer, the batsman will be hoping this will be the time the selectors notice his runs. The 34-year-old started his season in scintillating fashion, making an unbeaten 174 against Hampshire at the Ageas Bowl, taking the mantle of captaincy in good stead. Middlesex name a 14-man squad for Warwickshire’s visit, with Adam Voges set to lead his side out while Steven Finn is also expected to feature. New signing James Fuller is in the side alongside young prospect Nick Gubbins. Warwickshire’s squad is identical to the one that travelled to Hampshire, with the addition of Oliver Hannon-Dalby. Chris Woakes is expected to undergo a late fitness test to assess his availability. Thankfully, the rain seems to be hidden away from Lord’s – for the first day at least! Dark cloud threatens Day Two, but it should remain dry.